hi, my name is laura, and i have an addiction. i am addicted to INSPIRATION BOARDS. i cant get enough. in my future (and hopefully more frequent than the last half year) blog posts, you'll notice that i will use them quite often, and you'll find yourselves enjoying them as much as i do! in anticipation of the upcoming holiday season, i've put together a couple of ensembles that, in my opinion, would be perfect for a holiday shindig. you like? the first would be great for any holiday party, and i think i've got my heart set on the second for nye2011, which plans have yet to be determined. AND both dresses are under $55. i recently discovered lulus.com and i'm loving what i see! 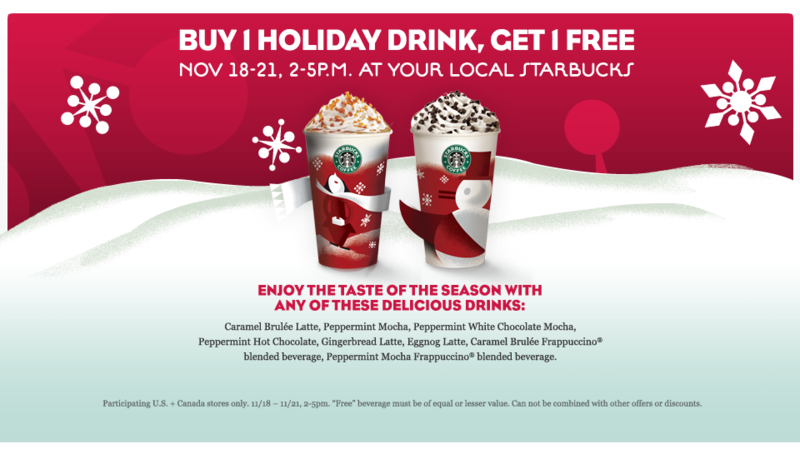 apparently when you visit starbucks any time between 11.18-21 and buy a holiday drink, you’ll get one FREE! FREE! i plan on stopping in tomorrow to test it out (2 gingerbread lattes s'il vous plaît). if it's wrong, don't blame me. blame this site. there's no code, so i'm skeptical, but i'm not about to waste a potentially free snack. update: i just found this which clarifies that the special is only from 2-5! give it a try, and if it fails, at least you got a field trip to starbucks!